The military occupies some 4,000 acres in the north of the island. An official note states that 1,099 acres will be returned to former owners in the second week of January. The displaced of Kepapilavu are ​​ready to occupy the village if the government fails to keep its promises. 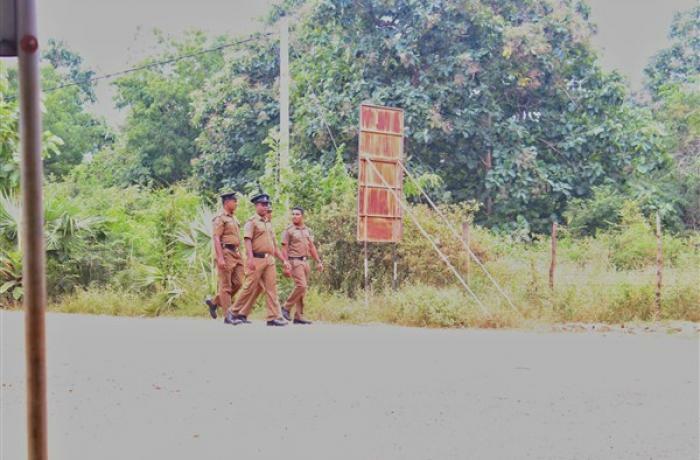 Colombo (AsiaNews) – The Sri Lankan army has announced that in the coming weeks it will return 1,099 acres of farmland (more than 444 hectares) to people displaced by the country’s civil war. The land to be transferred is in the northern and eastern provinces, the most affected by almost 30 years of conflict. An official note from the military states that the handover will take place in the second week of January. In fact, the land was supposed to be returned to its rightful owners by 31 December 2018. For this reason, a group of 132 organisations and private individuals last week presented President Maithripala Sirisena with a letter asking that the handover not be delayed. The group was led by the People's Alliance for Right to Land (PARL) and the letter was dated 30 December. Meanwhile, a group of protesters staged a rally in Kepapilavu, a village in Mullathivu district. Locals complain that the military built their district headquarters on village land. "If the army does not keep its promises, we will enter the village and settle down on our lands." The military occupy some 4,000 acres (1,600 hectares) in the north. According to PARL, people displaced in the northern province "are already being severely affected by floods, which have caused more refugees, damaged property, and destroyed crops. Given such suffering, we are asking the president to keep his promises."